The Dalai Lama explains that the happiest people are those who are the most disciplined. 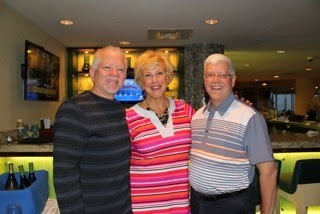 I believe the same is true for organizations: those that are the most disciplined are the most successful. 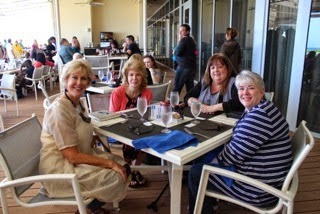 This past weekend, I had the honor of helping the governing board of the American Nephrology Nurses’ Association ("ANNA") conduct a "refresh" of the strategic plan I helped them create two years ago (https://www.annanurse.org/download/reference/association/strategicPlan.pdf). At that time, I asked them what success would look like, and their reply was that they wanted their entire strategic plan to fit on a single page so that it was useful to them as a real decision-making tool and easy to communicate to others. If you clicked the link, you saw what we created—a one pager that included everything they would need. They acknowledged that they would need a work plan for volunteer and staff leaders to follow in their pursuit of the very ambitious outcomes they wanted their plan to achieve. They did, in fact, create a work plan that they used and updated as needed. One of the reasons that the ANNA board was so successful in maintaining a constructive board culture and achieving its goals is that they had the discipline to say, “No,” to tempting ideas or member requests that would take their attention and resources away from the direction they had agreed to pursue. Some of the ANNA board members reported how it was initially difficult to say no, but that it got easier as they followed their agreed-upon path. Now, with two years of their plan under their belts and a few changes in board membership, they rightfully felt it was time for a tune-up on both their plan and on the behaviors that distinguish high performing boards. They were just as disciplined during our session as they are at other times, yet everyone reported having a good time as well as leaving with a real sense of accomplishment. 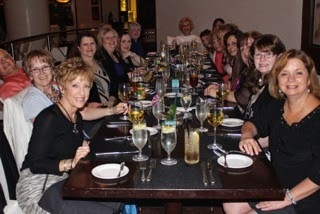 As you can see from the photos, it wasn’t all work. 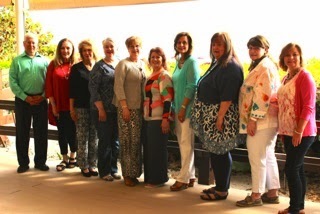 And for me, there is nothing more gratifying than helping a group of caring leaders stretch themselves to chart a course and agree on how they will work together to assure their organization thrives. Revisit the ANNA’s website in a few months to view the strategic planning document they created this past weekend to take them through 2017. And it’s still only one intensely packed page! If you saw the headlines this past week, like me you probably had a good chuckle at Supreme Court Justice Ruth Bader Ginsburg's admission that the reason she took a little nap during President Obama's State of the Union address was because she "wasn't 100% sober." She later clarified that she had been up all night writing and it actually was just one glass of wine at dinner that provoked her untimely slumber. I would like to applaud Justice Ginsburg for owning and explaining her mistake, exactly what we discussed last week. She could have denied her nap or ignored the accusation, but as a prominent leader who has accepted her role in the spotlight, she took the opportunity to admit her mistake in a humorously relatable way. 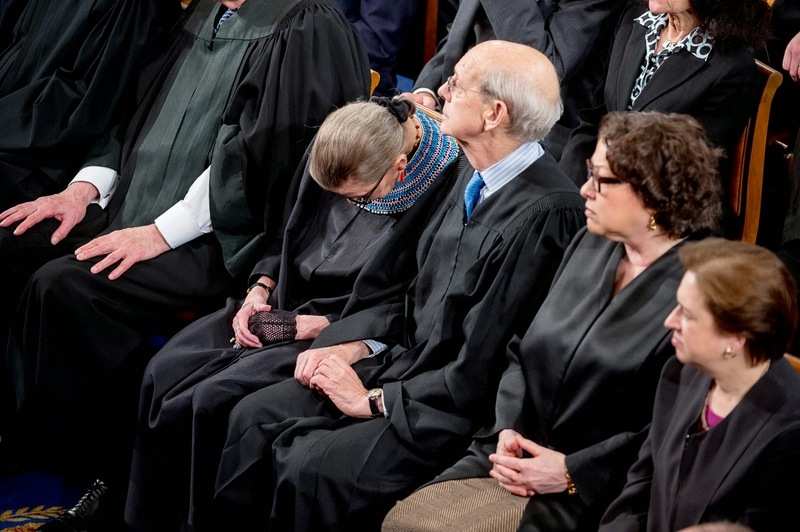 So, if a Supreme Court Justice can admit she fell asleep during a live broadcast of a Presidential address, how bad can your mistake really be? And, if you are the leader of your organization, think of the example you set for your group when you own up to your own mistakes. Even if you didn't watch the Superbowl, I'm sure by now you've read or heard about the Seattle Seahawks' coach Pete Carroll's costly mistake in the final seconds of last weekend's championship game. The gist of it is that, instead of calling a safe running play, Carroll called a riskier passing play that was intercepted by New England Patriots rookie Malcolm Butler. The Patriots gained possession and won the game. Since then, Carroll has been under fire for making a costly mistake on an international platform. Ouch. Regardless of which team you support (if any), it is hard not to feel his pain. Making mistakes at work, big or small, can be the source of much stress and turmoil. These work mistakes seem to fall into two broad categories: job-related errors and faux pas. The job-related errors are painful. You send the report to the wrong client. You miss an important meeting or deadline. You misinterpret data and broadcast your wrong conclusion at a meeting with colleagues. The moment you realize your mistake, you feel stupid, embarrassed, and awkward. You may start to fear that everyone thinks you aren't right for your job. The awkward, social mistakes we make aren't any less painful. Your boss walks by your office the moment you are on the phone giving your friend animated advice about how to tell her mother-in-law to mind her own business. You forget to invite a co-worker out for happy hour, only to see him walk by the bar a half hour later raising an eyebrow at the crowd of familiar colleagues that you have amassed. You hit "reply all" instead of "reply" with a snarky comment about the timing of an upcoming meeting, accidentally alerting the entire working group to your annoyance at yet another 6:00pm Friday meeting. Again, you feel stupid, embarrassed, and fearful. So what are you to do? Fake a conference call and lock yourself in your office? Pretend nothing happened and move on? Regardless of the type of mistake, you know the answer. The most direct approach is always the best route. Get out in front of the error and admit fault as soon as possible. Own it. Do not pretend it didn't happen (if you noticed it, there is a 100% chance everyone else did too). Genuinely apologize, explain yourself, don't make excuses, and admit that you will need to do better. Remember that finding peace and harmony at work is all about your connections. Reaching out to make that initial connection with the aggrieved party (or parties) after you mess up may be painful, but it's necessary and the sooner, the better. You will be surprised how quickly your mistake blows over once you address it with integrity. 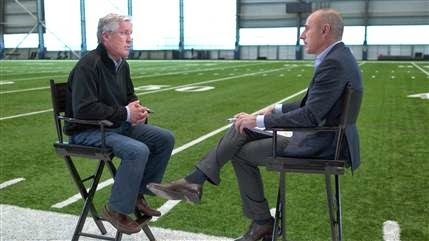 If you need inspiration, watch the first few minutes of Matt Lauer's interview with Pete Carroll. There are 100 different ways he could have spun his error, but notice how his willingness to openly discuss his role with honesty and humility adds to his credibility as a valued coach.